Andrew Wiggins went off for 40 points on the Thunder last night in a lively game that featured 32-year-old interim coach Ryan Saunders getting his first win and Thunder guard Dennis Schröder getting ejected for shoving. 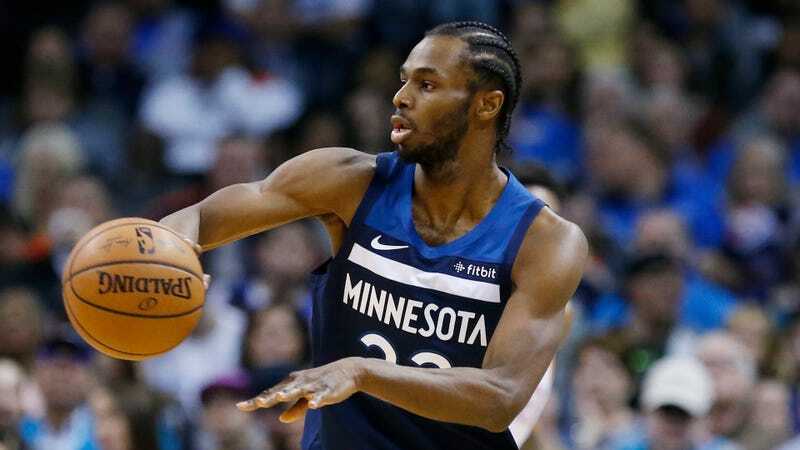 Wiggins was asked about Schröder’s ejection after the game, and he either said, “He was getting—he was acting crazy,” or, “He was gay. He was acting crazy.” Those are obviously two very different quotes, and as much as I think he’s mumbling “getting,” the tape is ultimately inconclusive. There’s nothing I can say here that isn’t blindingly obvious; if Wiggins used “gay” as a slur, it’s wrong, and if he didn’t, it’s nothing. It just feels like a pretty irresponsible stretch for any coverage of this to definitively state that one way or the other.